LIA's Lasers for Manufacturing Event (LME) takes a bold leap forward in its second year as exhibitors are being invited to bring working laser systems to the unique one-stop showcase for laser-based production. Building on the momentum and overwhelmingly positive feedback of the inaugural event in 2011 in Schaumburg, IL, LME will return to the Renaissance Schaumburg Convention Center Hotel on Oct. 23-24. 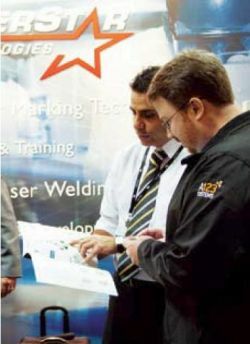 LME 2012 will feature more basic courses and a pair of two-hour tutorials addressing welding and joining and ultrafast laser processes. LIA has unveiled an expanded educational track this year. 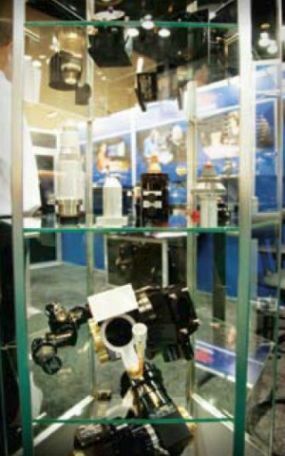 LME 2012 will again provide attendees vital guidance on how to create effective and efficient laser-based production systems to increase profitability in a broad range of applications, predominantly aerospace, automotive and medical. Three new courses addressing the fundamentals of laser additive manufacturing, cutting and robotics have been added along with the two tutorials. These will appear alongside primer sessions on the main types of lasers used for manufacturing, creating laser systems and establishing the return on investment. In addition, a new two-day Laser Welding & Joining Workshop, chaired by LIA past president and Schawlow award winner Prof. Eckhard Beyer of Fraunhofer IWS, will run concurrently with LME. "As many laser manufacturers and system builders are engaged in the workshop, this would be an ideal opportunity to get application-related questions answered and get new ideas on how to use lasers," Dr. Beyer noted. "We are going to unite many people from the laser community who are shaping the way the world of lasers is today. This will make it possible to address lasers from the basics to high-end applications." The Welding & Joining Workshop will feature 18 presentations, spread out over two days to allow ample time for attendees to interact directly with OEMs in the exhibit hall. "The workshop will start with short courses presented by industrial research experts to give a sound overview of laser basics and current developments. 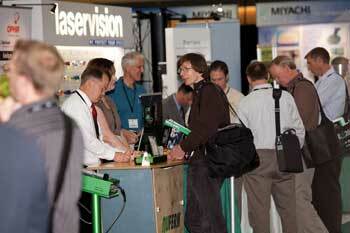 End users with long standing experience will present their solutions to the typical challenges of laser applications." Some of those applications will include power-train welding, remote welding, hybrid welding and "micro" applications, he noted. Such applications are being refined constantly as lasers continue to evolve. "We still see a big impact of the tremendous rise in beam quality and energy efficiency," Beyer says. "Here the application fields are expanded in many ways: ultra-low distortions or the realization of new mixed-material joints like copper-aluminum using precisely shaped weld pools. Also, remote-beam applications are now standard; that was a field restricted to expensive high-brightness lasers just a few years ago. Furthermore, laser size reduction is a key development; many lasers are now so small that machine integration is much simpler and can be done in a way not possible before." Although slated as a tutorial this year, the program on ultrafast lasers could grow into another two-day workshop next year. For the inaugural session, LIA President Prof. Reinhart Poprawe of Fraunhofer ILT says the educational track will feature technical examples, a survey of Technology Readiness Level (TRL) 1-9 materials and an overview of markets and materials. He says the session will be particularly geared to those involved with optical systems and scanning technologies, as well as users of precision machining applications with accuracy in the range of 10 microns and below. "The development of ultrafast lasers with pulse durations of some 100 femtoseconds to 10 picoseconds on an industrial scale with powers up to the kilowatt class, has led to a new level of laser processing with ultimate processing quality," Prof. Poprawe noted. "Starting with physical basics on ultrashort pulse interaction phenomena, the tutorial will give a survey on different applications from electronics, energy topics and tooling technology to large area processing for tribology optimization and surface functionalization." The tutorial is particularly suited for engineers and scientists from machine suppliers and end users, Poprawe said. And "manufacturers of ultrafast lasers and optical systems (scanning technologies) will learn about the requirements on system technology with respect to laser parameters and processing parameters." LIA is showing once again that it is at the forefront of advocating cutting-edge laser technology, as "ultrashort pulsed lasers are heading to the edge of mass industrialization and will undergo similar growth rates like other lasers in the past," Poprawe asserted. Ultrafast lasers are being applied in the biomedical, automotive, and tool and molding industries; LED and OLED light-guiding systems; photovoltaics and energy storage; and general surface processing. The tutorial will help shed some light on current debate over what kind of pulse lengths are optimal for what materials, how best to apply high-repetition lasers to workpieces, and how researchers and manufacturers can concentrate on shortening manufacturing cycle times. In addition to spotlighting the bottom-line benefits of lasers, the working systems at the Event will put the need for laser safety front and center. LIA Education Director Gus Anibarro, who will be the event's Laser Safety Officer (LSO), will again give a one-hour presentation on assessing beam and nonbeam hazards in the laser manufacturing environment and how to ensure the safety of operating personnel. Just as he did at the first LME, Anibarro will condense his extensive laser safety experience into an information-packed session that highlights prevention rudiments addressed more fully in LIA's two-, three- and five-day laser safety courses (view the LIA's full range of laser-safety courses and online resources at www.lia.org/education/online). The crash course in proper laser use will cover the classes of lasers, direct vs. reflected exposure, the need to control laser-generated air contaminants, skin and eye hazards and how to choose eyewear of the proper optical density (OD). LME, held in proximity to a large number of manufacturers and job shops, is an all-in-one experience for those either seeking to refine current laser systems and applications or assessing potential new ways to employ lasers in production. While the educational program provides tools to help assess the benefit of investing in lasers, the exhibit floor provides a real-time marketplace to discuss applications and primary and ancillary equipment with top-tier suppliers. 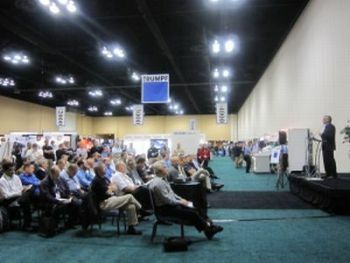 To that end, LME will again feature the highly popular Laser Technology Showcase, a stage at the front of the exhibit hall that will be used for keynote educational presentations and shorter informational addresses by many companies in attendance. The showcase format helped foster interaction between attendees seeking solutions and a wide array of industry leaders able to lend their expertise in person.